For Bed & Breakfast, stay with Suzette and Bas at La Marguerite or with Zoë and Richard at Notre Desir. For self-catering stay at La Valette "Middle House" or camping stay on the farm at La Valette Campsite. 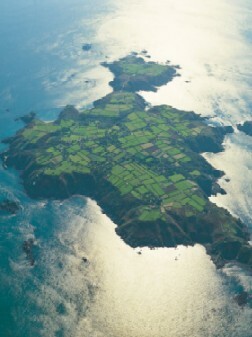 There is no doubt that SARK is the most serene and beautiful of the Channel Islands. Nestled amidst the other islands, some 20 miles from the coast of France, it offers an unparalleled opportunity to unwind amidst unhurried local people and the few holiday-makers sharing the island with you. Sark has no cars, vans, lorries etc., just horses pulling carriages, bicycles and a few necessary agricultural tractors to work on the land and transport your luggage from the harbour. It also has no street lamps, no tarmac and no rush-hour! Sark has not felt the need to change with the rest of the world. It is like a trip back to a less frantic time when there was more freedom to contemplate the beauty of nature, to enjoy good food, company and wine. In Sark, we speak English as our main language. The older generation still speaks the local patois, a version of Norman French, but modern French is widely spoken and here and there German is too.